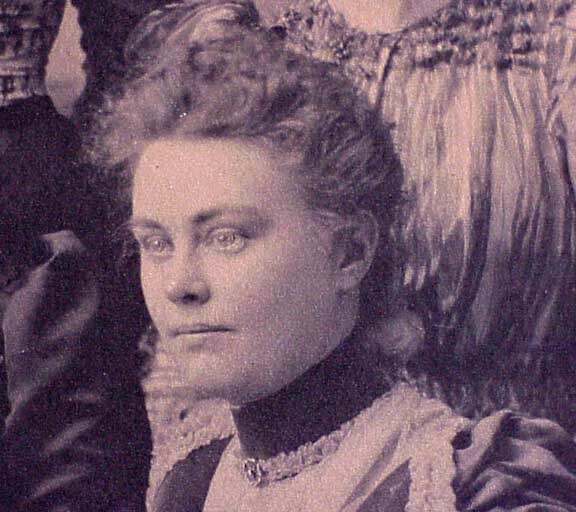 Lizzie Borden took an axe and gave her mother 40 wacks and when she saw what she had done, she gave her Father 41 / John and Rico's The Drawing Room Antiques of Newport Rhode Island. The pencil written signature "Gay" of Gay Photographic Studio of Fall River Massachusetts. 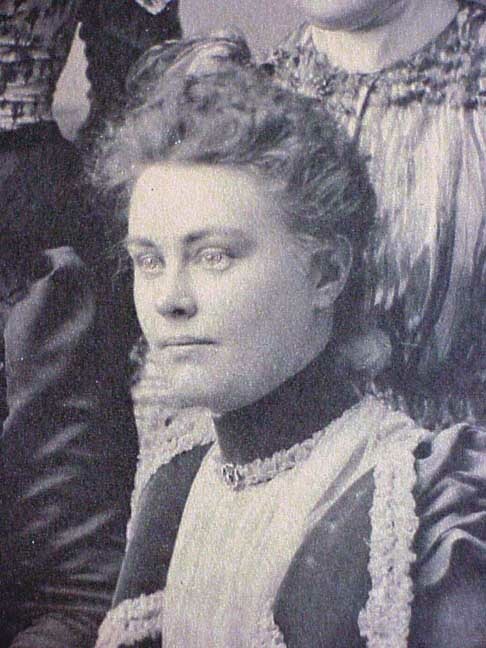 It must be noted that in June of 1890 Miss Lizzie Borden, with a party of young ladies, makes a tour in Europe, sailing on the ship Sythia. So, if this image is not of the church group . . . 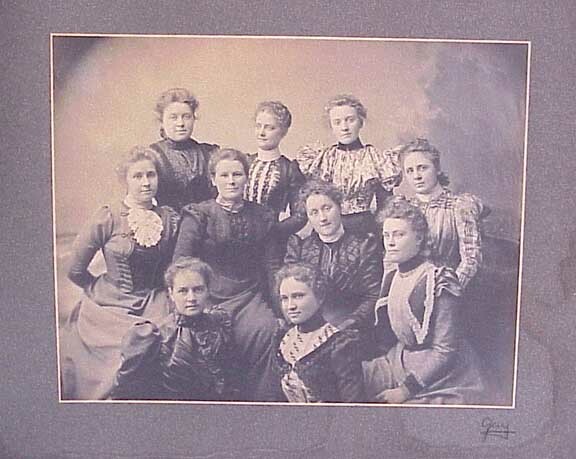 Here is a group photo take in the late 19th century. 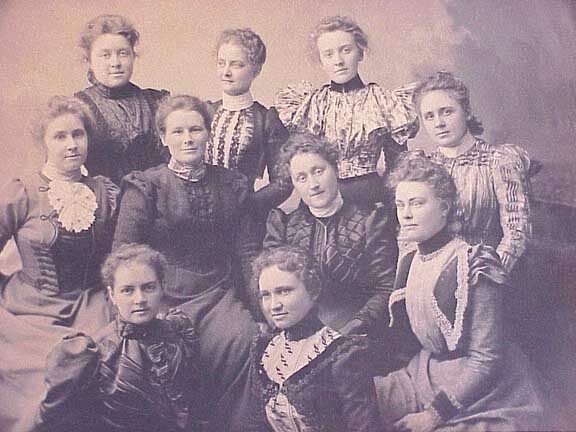 A group of young women pose for a studio portrait. Perhaps a church group. A few years ago this platinum print was described as possibly the Christian Endeavor Society of the Central Congregational Church of Fall River, Mass. The thought was that this image include Lizzie Borden. We still have never been able to confirm that notation. Various scholars of note have debated the subject of this photo. 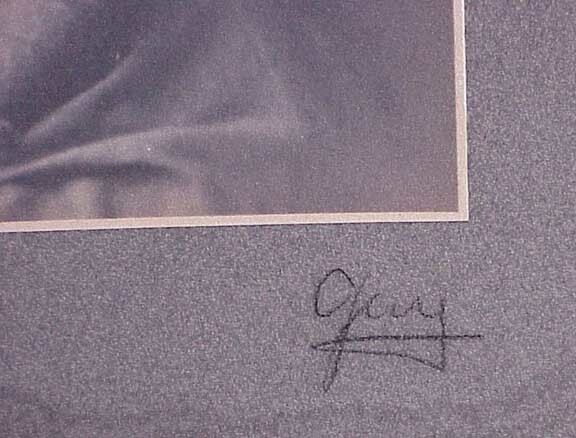 The pencil notation "Gay" was the leading photography studio of Fall River and the style and pencil signature is consistent with the era of this mounting. This image was found in storage in a Fall River home and purchased around 1984-85. 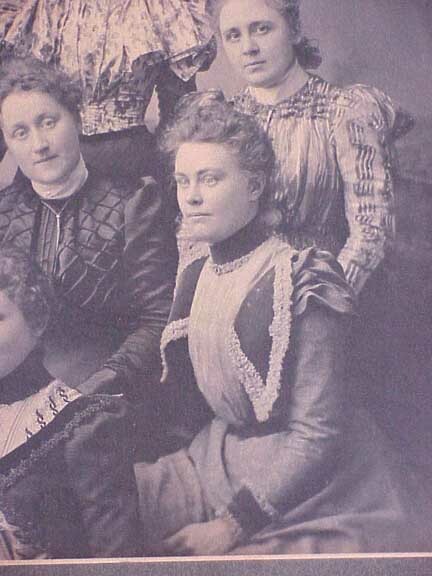 We did receive a signed letter from a noted authority on Lizzie Borden in which they stated: "I have little doubt that the figure at the lower right, middle row is Lizzie Borden." 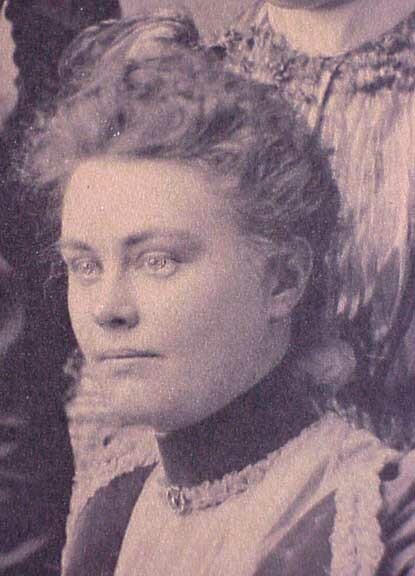 "It was her official duty as treasurer of that society (Christian Endeavor Society of the Central Congregational Church) that kept her from going to Marion with friends on the fatal day of August 4, 1892." "At the time of the murders, and later at the trial, there was never any reference made to a Lizze look-alike." A number of years ago The Fall River Historical Society had a different opinion and declined to authenticate the image. Inquiries. The Drawing Room is located at 152-154 Spring Street, Newport, Rhode Island 02840.We are open daily from 11 am to 5 pm and by appointment. If you have an interest in an item listed in this document , please call us at 1-401-841-5060. Our email address is: drawrm@hotmail.com All images copyright by Federico Santi, 2006.